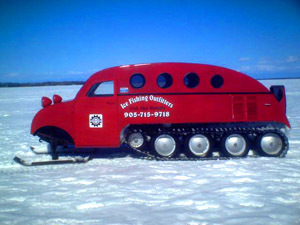 Over 700 sq km in size.Considered the fishing capital of North America, with it’s unyielding reputation of having the best fishing year after year. 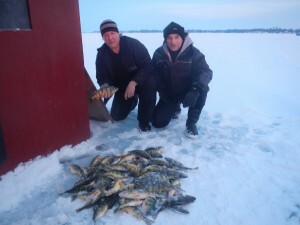 Lake Simcoe freezes over completely every winter and becomes the fishing destination for anglers world wide. 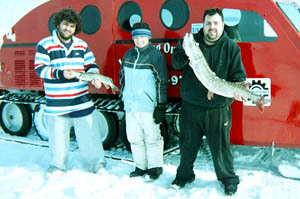 Lake Simcoe provides world class fishing year round. 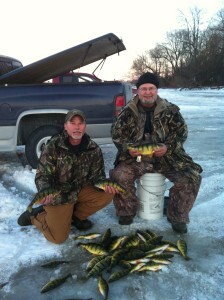 Probably one of your best chances you may get to catch that trophy fish of a life time! 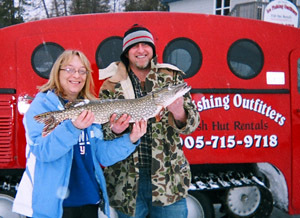 Ice Fishing Outfitters Huts are located on the Legendary fishing grounds around Georgina Island. Situated in depths ranging from 10ft to 20ft south of Georgina Island. This area on Lake Simcoe is know as one of the best Perch and Pike grounds in the province. Our huts are clean, comfortable and well maintained for your comfort. Proper attire for winter conditions. 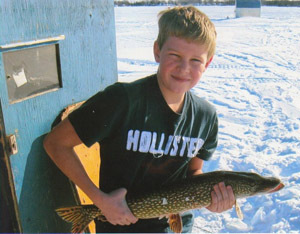 Your fishing gear and you may need a camera. 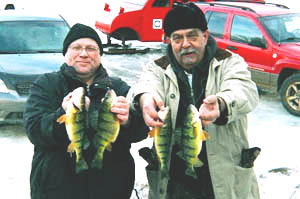 If you need an Ontario Fishing Outdoors Card to fish, you can buy one online, just click on the Ontario Government logo you see here. 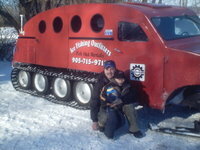 Your ride to and from your Ice hut will be in our heated Bombardier. Heated and fully equipped with GPS navigation. 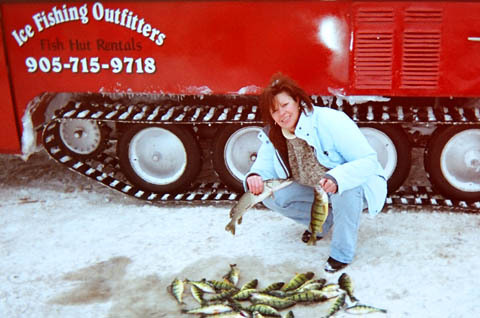 Ice Fishing Outfitters is located on the South Shore of Lake Simcoe at Virginia Beach. 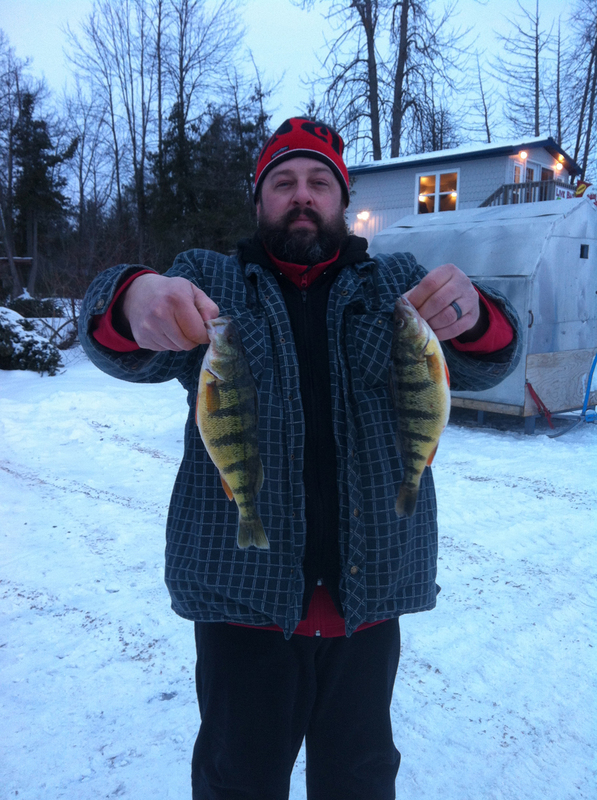 Our trailer will be located beside the Gas Shack, where the ferry goes across to the Island. We will have plenty of signage for you to find us! Another season has come to an end. 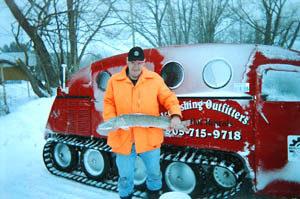 We are now closesd for this season. We'd like to say "Thank You" to all of our great customers and friends! Thank you so much for using our services! Hope you all enjoy the rest of this year. Wishing you all a healthy, happy year.